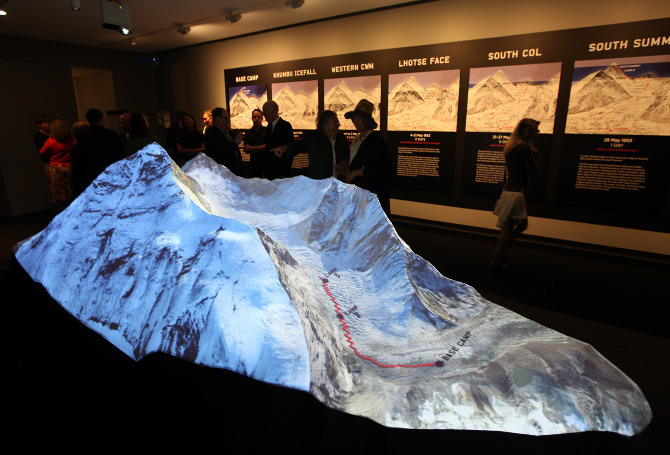 This exhibit showed Sir Edmund Hillary’s and Sherpa Tenzing Norgay's ascent of Mt Everest through a 3 dimensional, 5m x 3m projection mapped model. 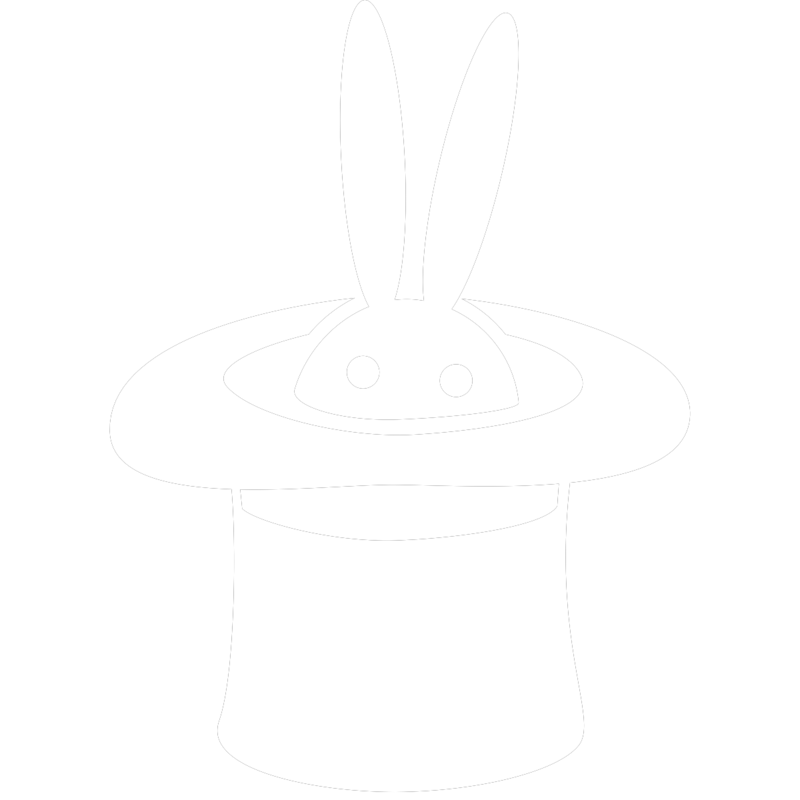 The project was extended by 6 months due to popular demand. 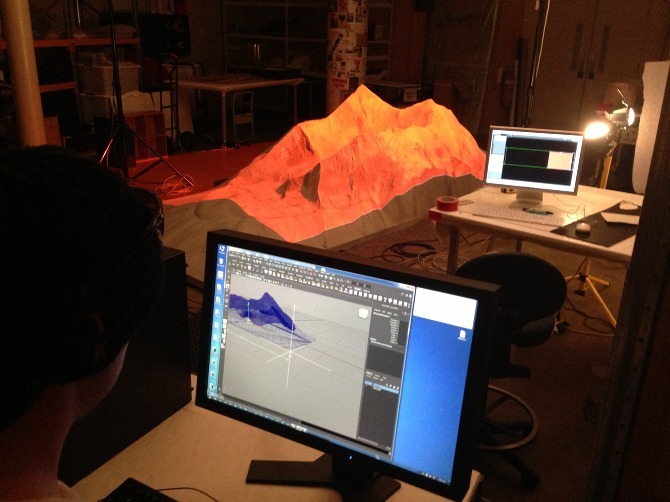 First we built a 3d computer model of Mount Everest in Maya based on topographical maps and photographs. This was used to laser cut the polystyrene physical model, as well as to create digital textures for projection. 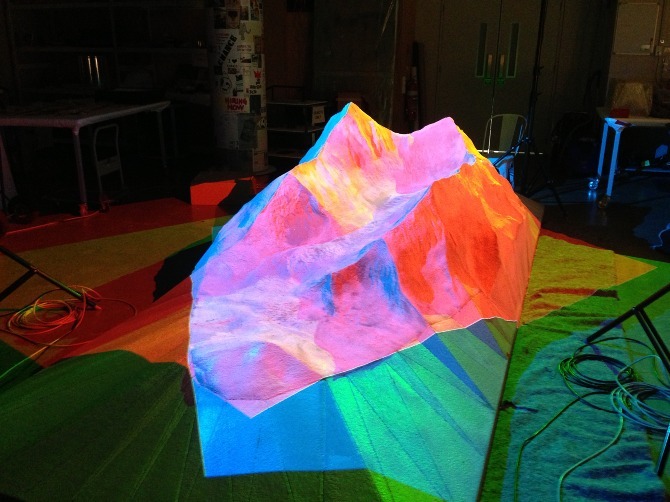 We projected light passes over the mountain emulating the effect of sun passing across the Himalayas and video footage at key places along the journey. 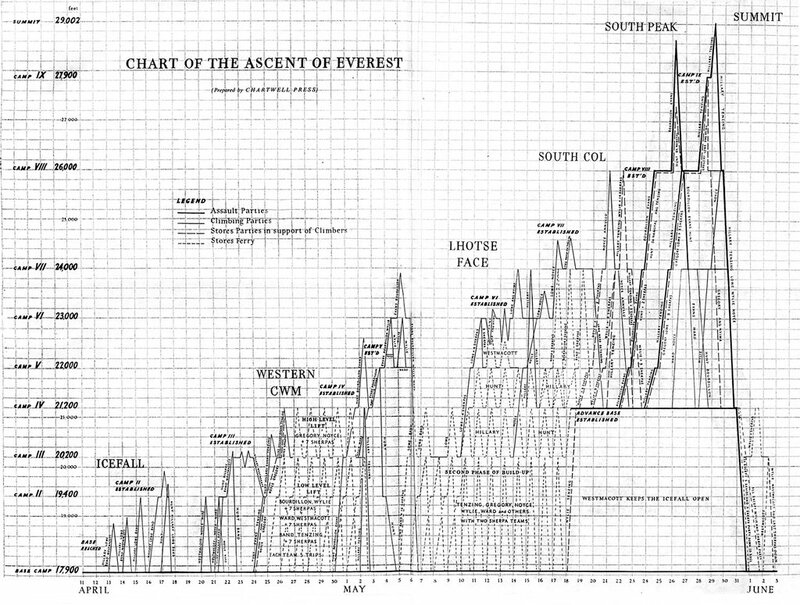 To help visitors understand the psychological journey we took the ‘Chart of the Ascent of Everest’ and converted it into an animated line representing Hillary’s path over time. This made it clear where the party was at different times; when they had to retreat back down the mountain due to bad weather or through the need for gradual acclimatisation, and when the conditions allowed for solid progress. "It’s beautiful - just simple and beautiful. The model tells a story in a way that words and pictures just can't. You can really see the struggles and the determination. I got goose bumps"